Shinty is sport as it ought to be… physical, fast, fun, health-building, and rooted in the community. Welcome to our site. 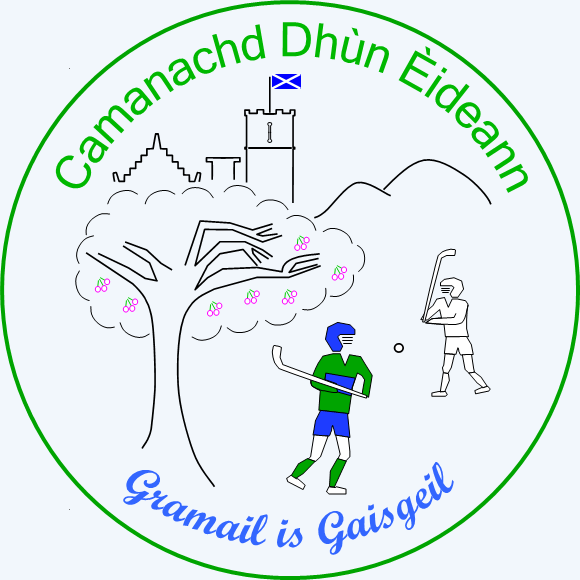 We are Camanachd Dhùn-Èideann, Edinburgh’s youth shinty club. Come along and be part of Scotland’s top sport of shinty! Shinty will feature all weekend at the 2019 Meadows Festival on Saturday 1st and Sunday 2nd June. This year, we invite all clubs with a youth section to compete for the Hope Park Cup, an under-14 sixes tournament on Sunday 2nd June. Throw up will be around 11 am. There will be Men’s and Women’s full major league matches involving our local side Tayforth, as well as Primary and High School Trophy competitions, come and try, fun shinty challenges for everyone, community shinty and an information stall. Plus the usual Festival music stages, hundreds of stalls, and other activities. Look out for Monday Night training on the Meadows for more experienced and High School players starting soon. p4-7 in cluster schools, from 5 – 6pm. JGPS only, P3-7, Mondays 8 – 8.40 am – meet on the Links from 7.45 am. Central Scotland and other fixtures take place year-round at both primary and secondary level. The next competitions will take place as follows. Taynuilt sixes (South of Scotland Primary School Championships): Sun 12th May. Club training strips are available in all sizes, and are available at our offer price for first-time buyers. Speak to Jamie at Saturday training or contact us for details of how to order, sizes, etc. Club hoodies, beanie hats, club water bottles, and other items are also available to purchase at great prices. Jamie has samples and can take orders. We now also have a stock of children’s and adult camans. Shin-guards and balls available too.